Over 3,600 years ago a volcano erupted on the Aegean island of Thera and completely covered the town of Akrotiri after its residents have left their homes. The rediscovery of Akrotiri in 1967 was one of the biggest archaeological events of the twentieth century. The excavation of the city is on the way to this day. The island of Thera gives archeologists and art historians and opportunity to study objects of art from the Bronze Age and get a deeper understanding of the cultures that populated the Aegean at that time. 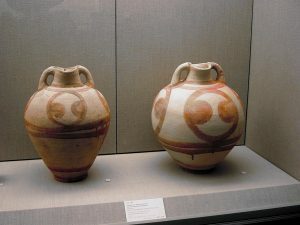 Several cultures flourished across the Aegean during the Bronze Age. Scientists have found documents from that time in three different languages, but have decoded only one of them, which is why archeology is the primary way of learning more about the people who lived in the Aegean before 3000BCE. 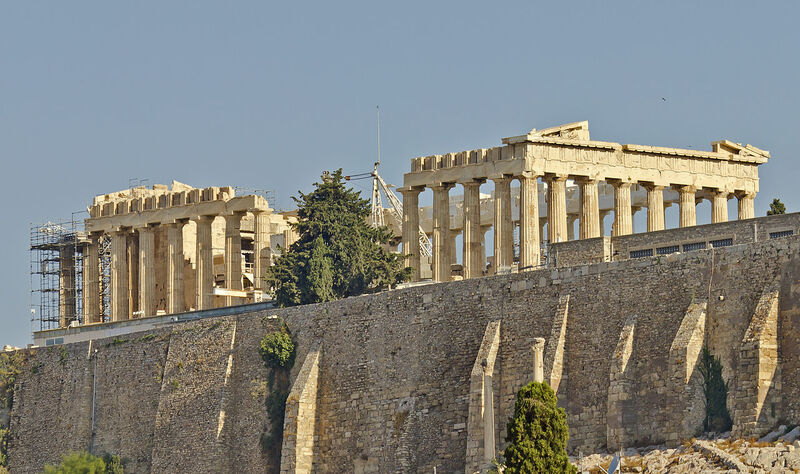 In recent decades scientists from different fields have started working together with the goal of understanding the ancient Aegean cultures better. Archaeologists and art historians cooperate with historians of trade and researchers of the climate to get a clearer picture of Aegean societies of the Bronze Age. There are many sites in the region that have not yet been excavated or discovered. Aegean people have created numerous works of art, including exquisite objects made of metals imported from Arabia, Anatolia and other parts of Europe. The sea played an extremely important role in all aspects of the life of the ancient Aegean peoples, from fishing and getting food to traveling to other parts of the world. 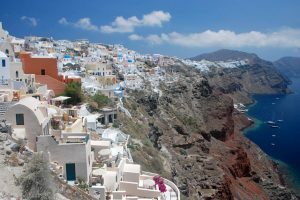 The Aegean peoples have also welcomed to their ports ships from other cultures, which is why shipwrecks, especially those of trading vessels, offer so much information about the culture of the societies that existed in the Mediterranean.